Shaie Williams for AGN Media. 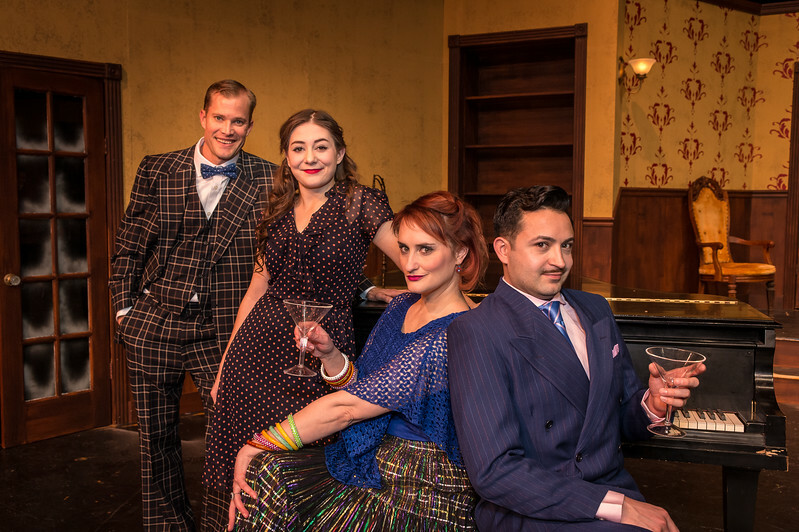 Amarillo Little Theatre presents "The Musical Comedy Murders of 1940". left to right. Brooks Boyett (Eddie), Cheyenne Haynes (Nikki), Marley Hoggatt (Bernice),, Tony Brazell (Roger) Photo taken at ALT Mainstage in Amarillo TX on January 9, 2018.